I find that Bangkok is not as connected as I would like it to be. I mean connected to the Internet, that is. Not all places provide free wifi. And going online is such a daily habit for me even during travels! 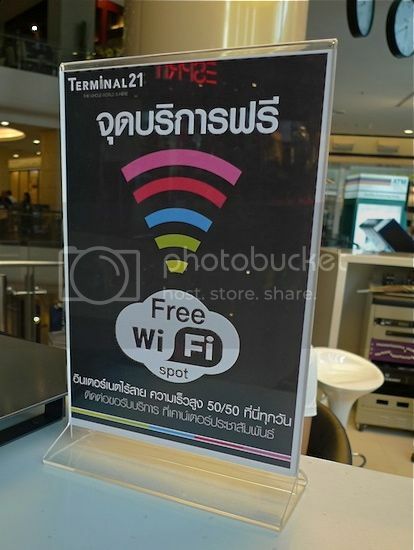 As such, I was pleasantly surprised to find that Terminal 21, the new airport-themed shopping mall in Sukhumvit, offered free wifi. However, you would first need to register yourself at the Information Counter to get a Username and Password. This is my Username and Password. After keying them into my iPhone, I was officially online! Yay!! Finally I managed to satisfy my cravings to tweet! LOL! 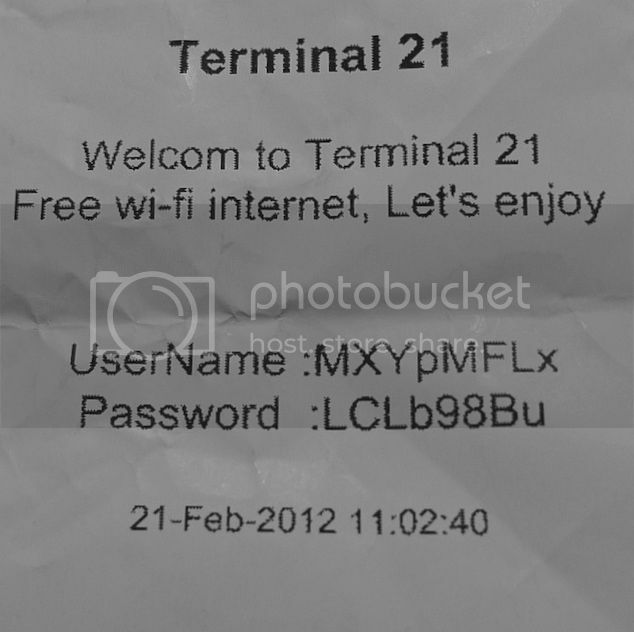 I also picked up the guide booklet on Terminal 21 at the counter. 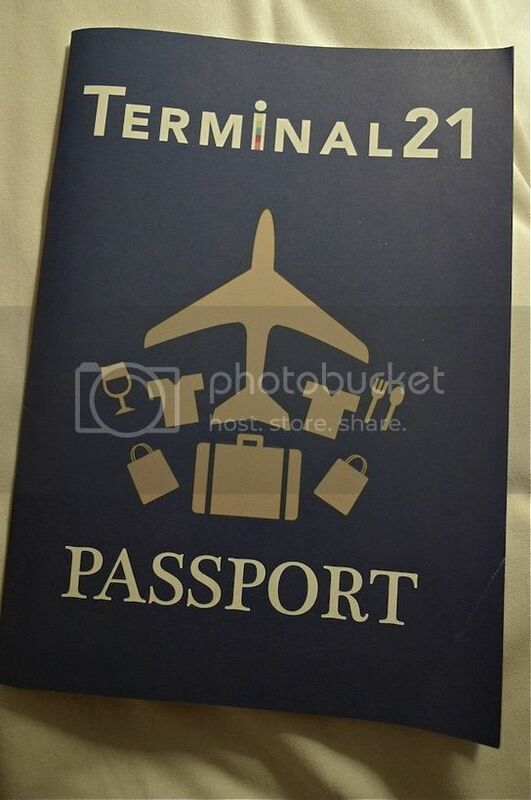 I thought it was quite amusing to see the word 'Passport' on its cover. LOL! As I mentioned in Part 1, each floor of this mall represents a city. The guide booklet would be useful in case you are not sure which city you are in. Haha! 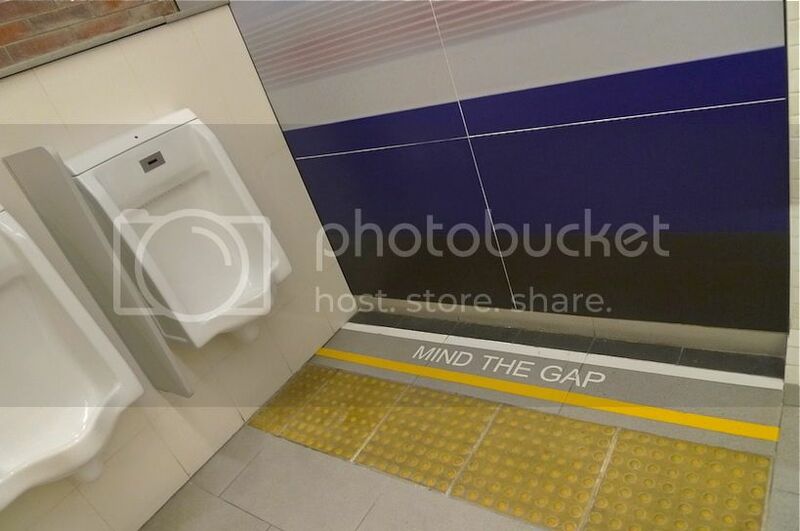 Anyway, after we discovered the awesome Japanese-themed toilet on the first floor, we decided to check out the toilets on every single floor of this 9-storey shopping mall! We started from the Lower Ground floor and moved our way up from there. The Lower Ground floor is the Carribean floor. As we entered the walkway to the toilet, we saw this. Here's the enlarged image. 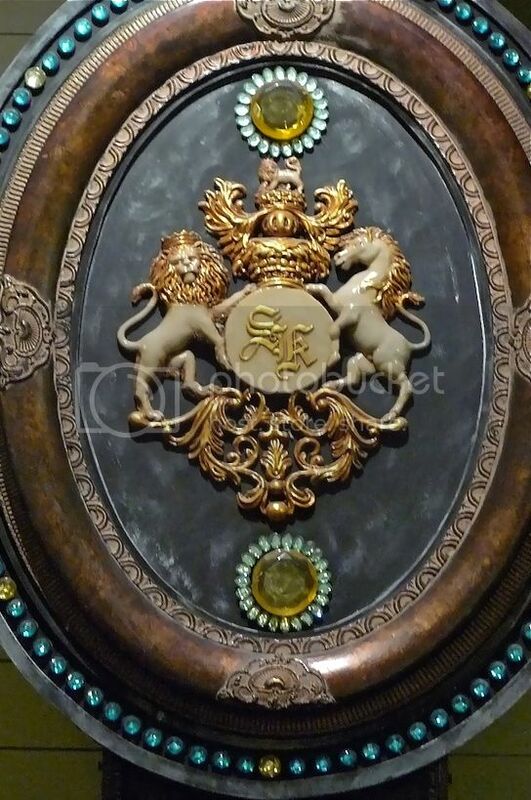 Do you know what logo this is? 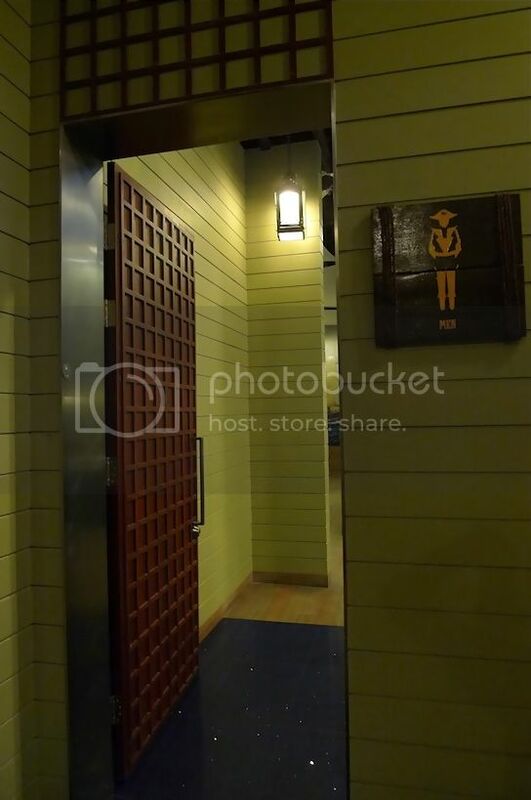 This is the entrance to the men's toilet. When I stepped inside, I was stunned by the beautiful images on the walls. 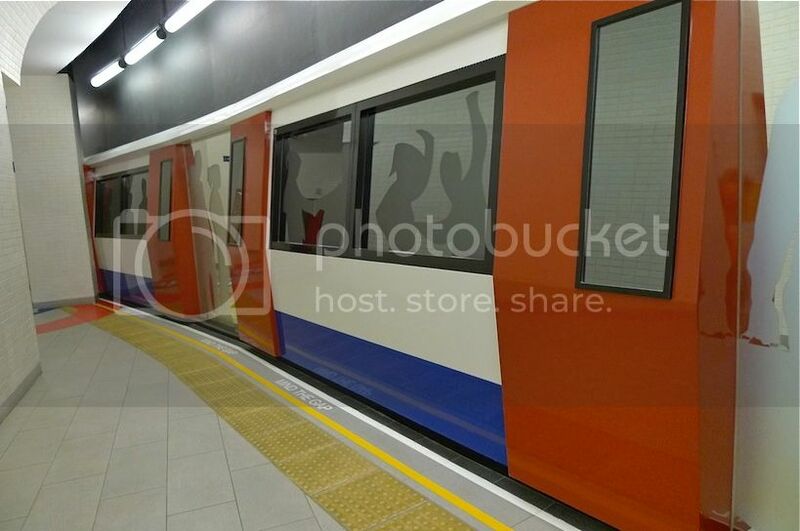 Even the cubicles' doors were nicely painted. 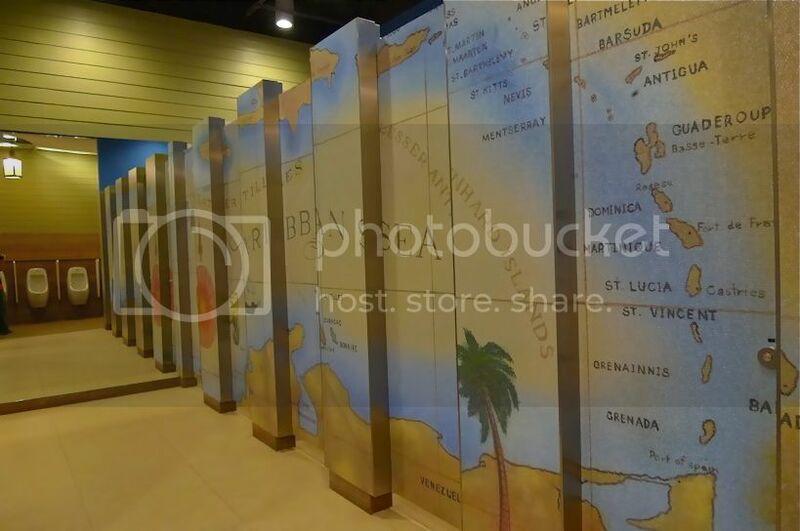 Beautiful map of the Carribean Sea on the wall. Love that steering wheel mirror! 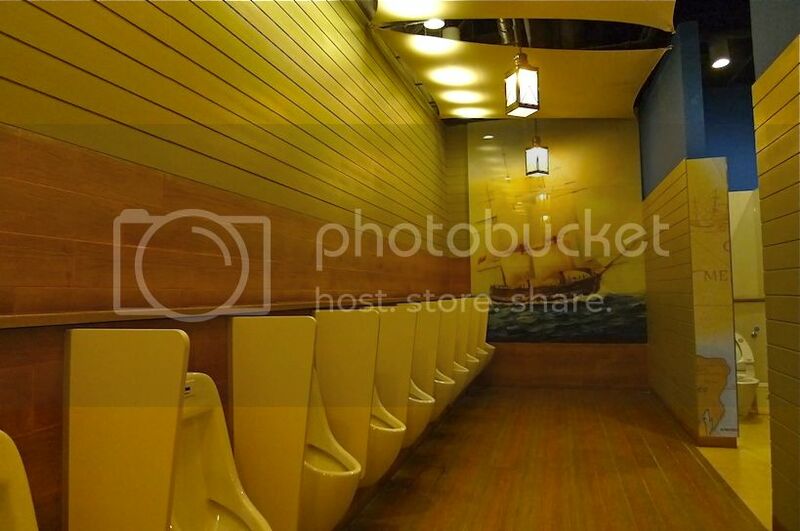 There were not many people in the toilet, so I was able to take my own sweet time to snap those pictures. It wasn't the case with some of the toilets in the upper floors, but that would be a story for another post. 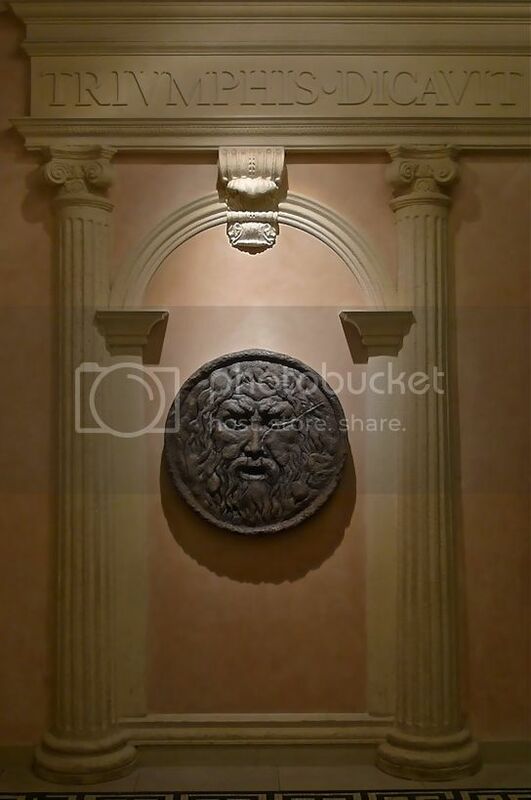 After that, we walked up to the Ground floor, which is the Rome floor. This was what greeted us as we walked towards the men's toilet. Once inside, I was like ... Wow! Are these amazing or what? 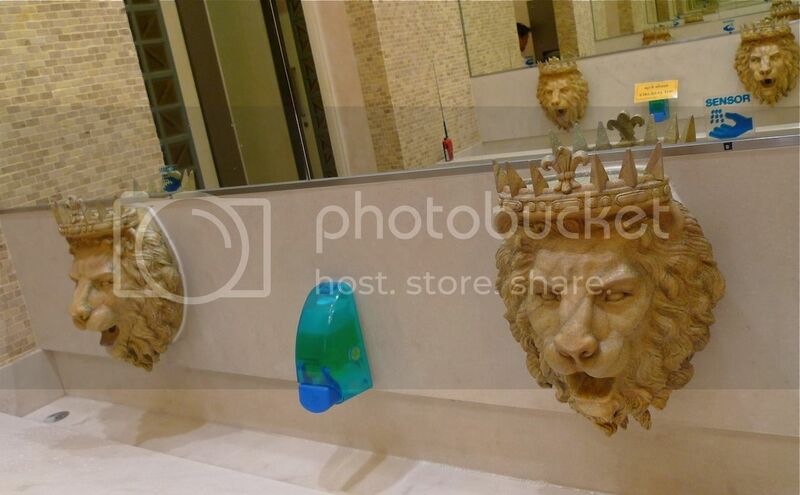 In place of normal taps were beautifully crowned lion heads! 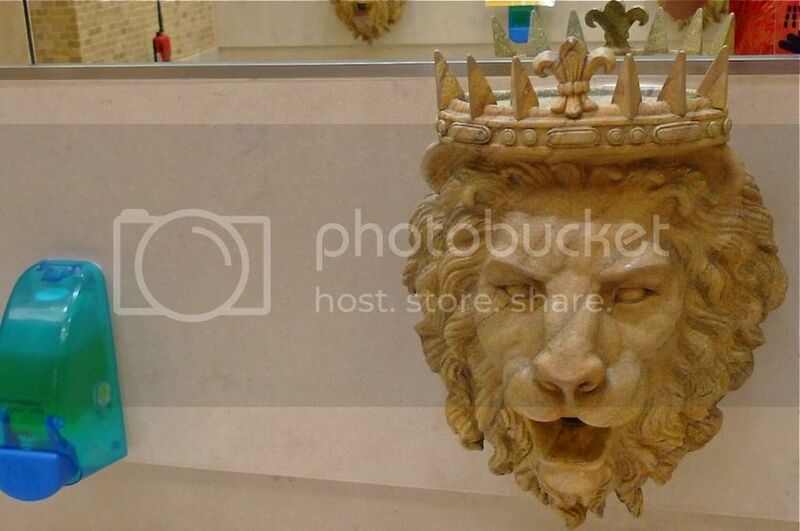 I love seeing the water shooting out from the lion's mouth! Oh, I should have taken a photo of that, shouldn't I? 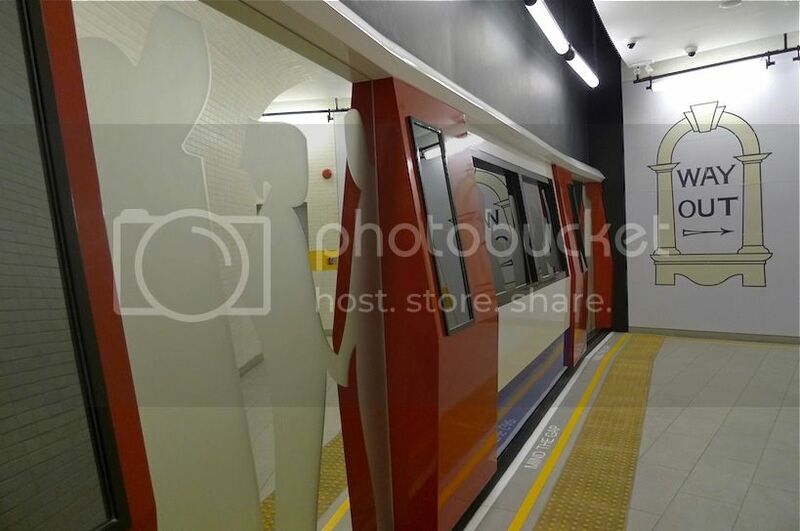 Next, we moved up to the Mezzanine floor, which was connected to the Asok BTS Skytrain station. This is the Paris floor. However, I did not find anything really interesting about the Paris-themed toilet, except for this thing that looked like a boarding pass. 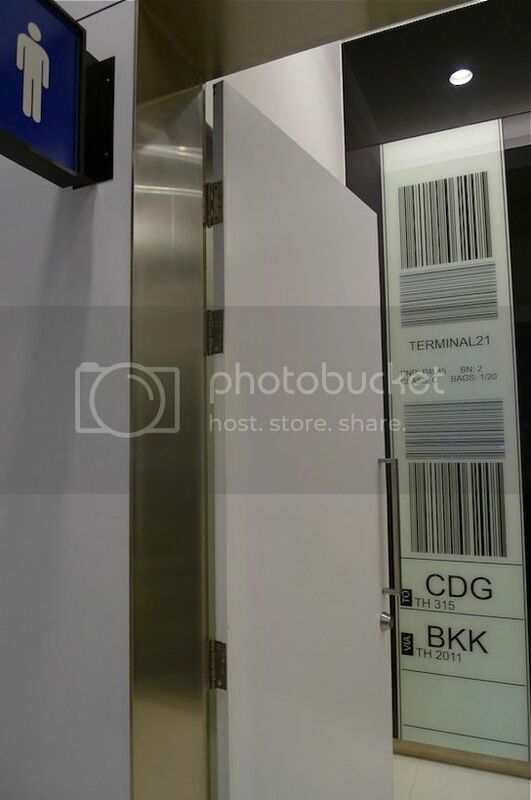 In case you do not know, BKK stands for Bangkok Suvarnabhumi Airport and CDG stands for Charles de Gaulle Airport in Paris. The next floor is the Tokyo floor which I have already blogged about in Part 1 so I shall not repeat here. Moving on, we walked up to the second floor which proved to be a very interesting floor. Now what does this remind you of? It's what we saw as we walked along the passageway towards the toilet. 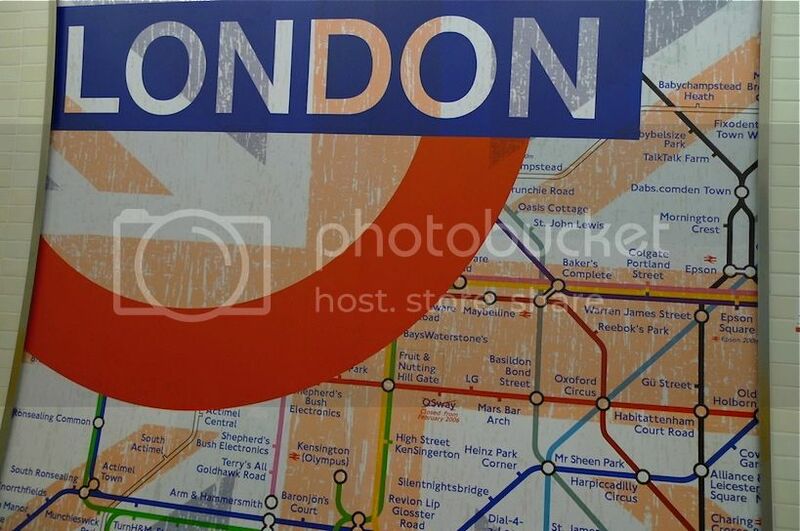 Yes, it's a train and we were in a train station in London! 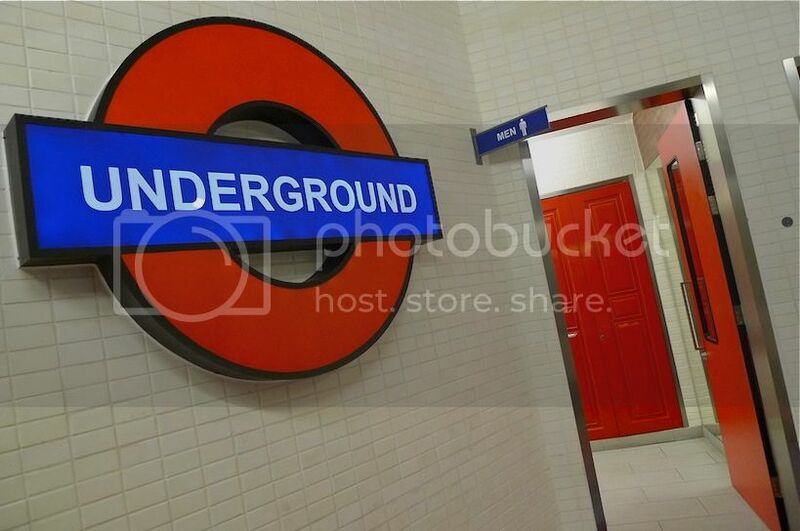 I love this famous 'Underground' sign! 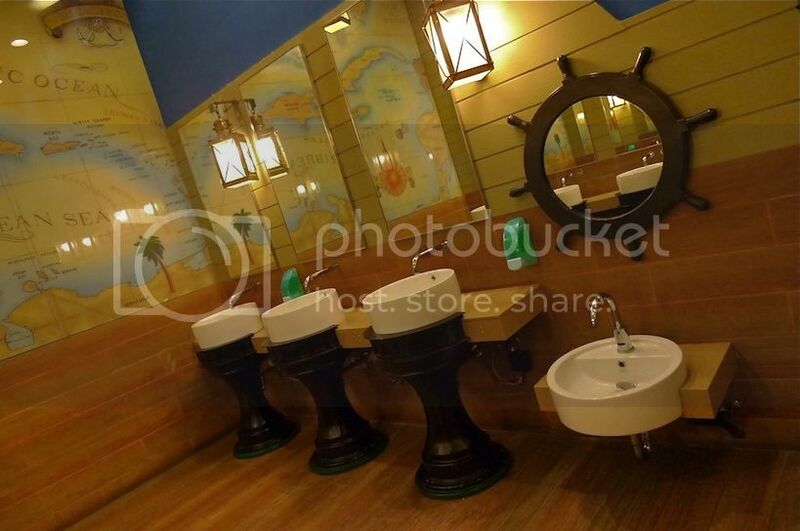 This is how the toilet inside looks like. 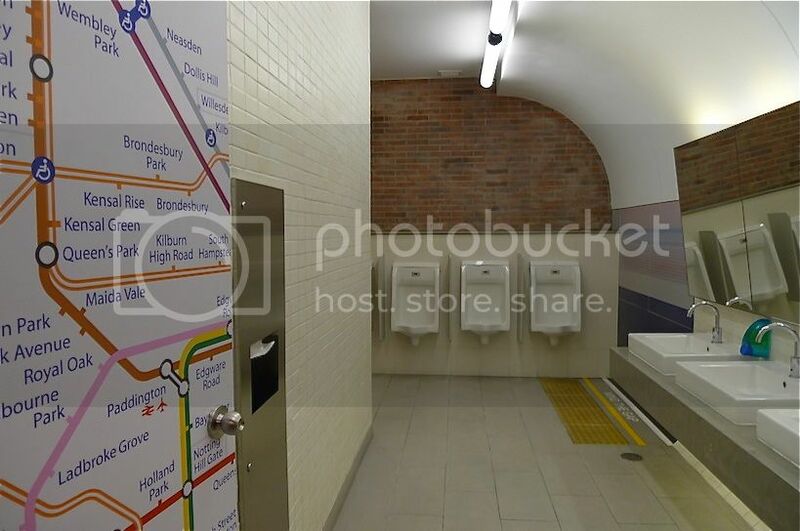 Really love this London-themed toilet! So cool! The third floor is the Istanbul floor. 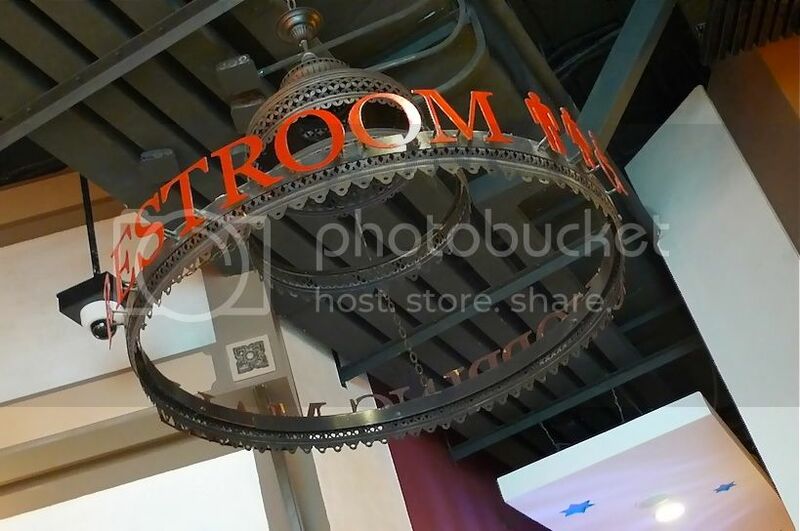 I snapped a picture of the toilet sign above the entrance to the toilet. Thought it looked rather interesting. 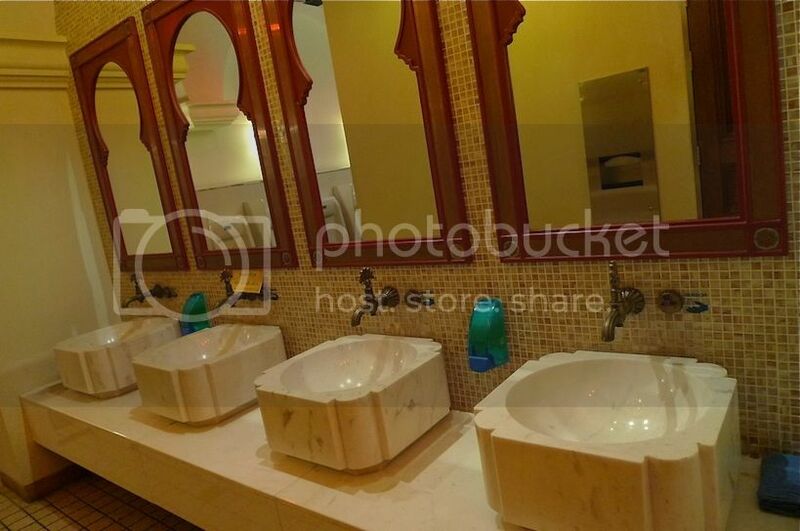 Inside the toilet, the ambience was markedly Middle-Eastern. The lamps were pretty interesting to look at. The wash basin area was also quite beautiful. Not bad at all! 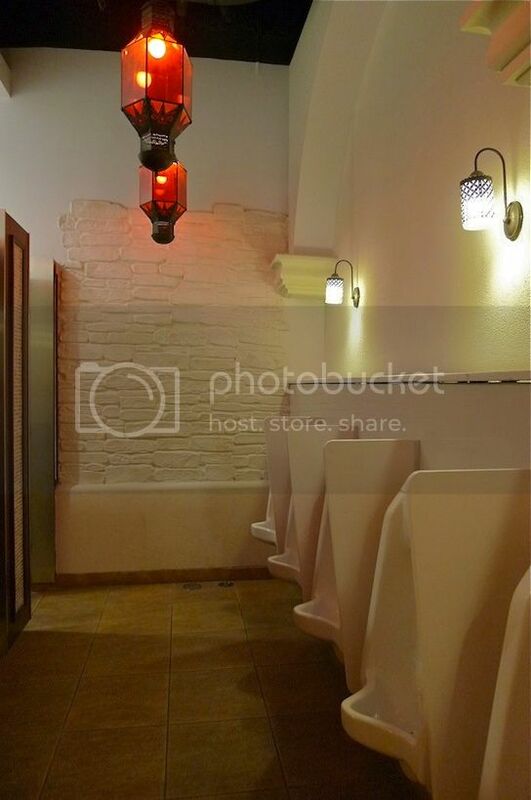 Of course, it's not just the toilets that were interesting. 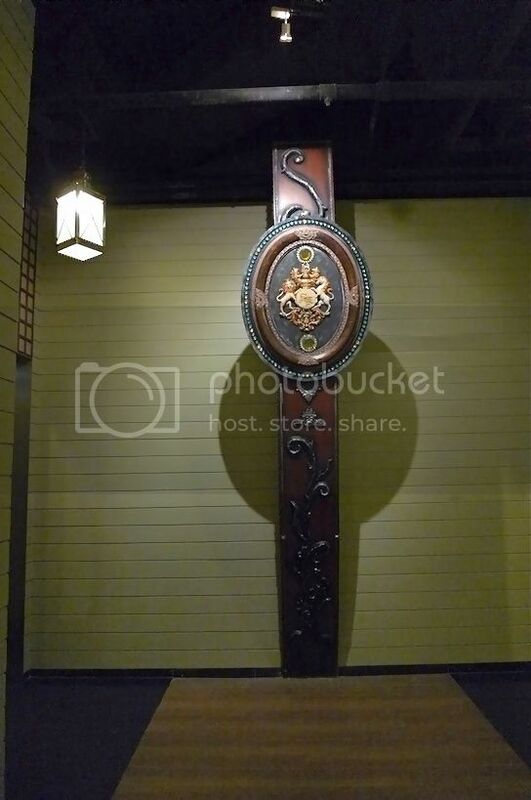 Every floor has its own landmarks that showcase the theme of the city it represents. 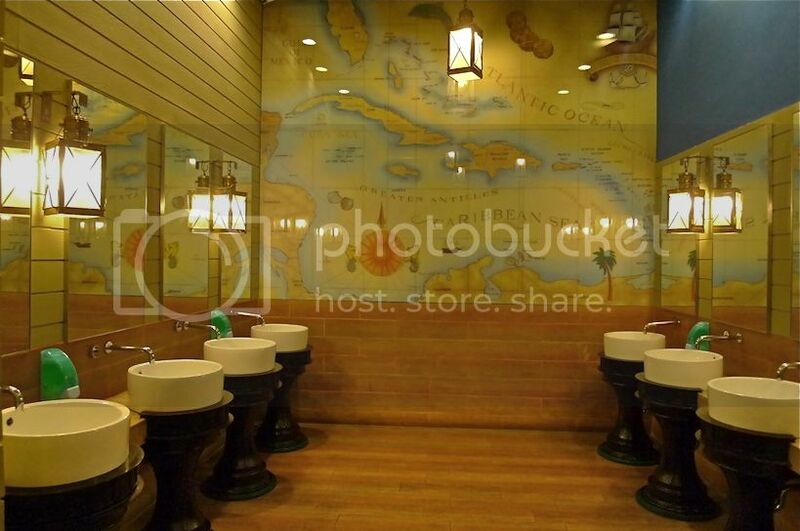 But more about this later after I'm done with the toilets! Haha! There are still another three more floors to go - the 4th and 5th floors, both with San Francisco theme and the highest floor with Hollywood theme, so don't miss my next post coming right up!